* IMPORTANT: must select at least one option for this product in order to add it to cart. "Full package" option means you get all software BSI PSA, Fiat Body Computer and Smart SAM: so please, if "Full package" is selected, do NOT select other options. BMW dashboards from August 2015 are equipped with 35160D0WT EEPROM which is not erasable and has page-id which locks this memory to its own dashboard-micro. If you need to repair such dashboard you CANNOT erase or substitute original memory with recovered/bought one. You have to emulate original memory with our emulator. 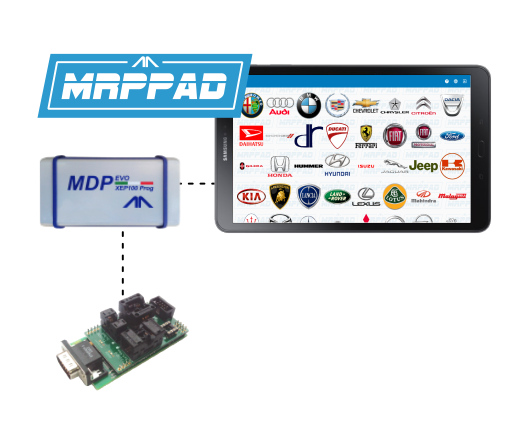 MRPPad software update to 3.00 version or to next ones is paid. are not the original italian ones we produce. They got no reliability and quality characteristics our original products have. Use of fake products may result in vehicle damage and comes without any type of Automotive Art technical support. Seller above are not authorized to sell any of "Automotive Art" products! To buy ORIGINAL "Automotive Art" products only refer to our online shop or to our official distributors/partners. 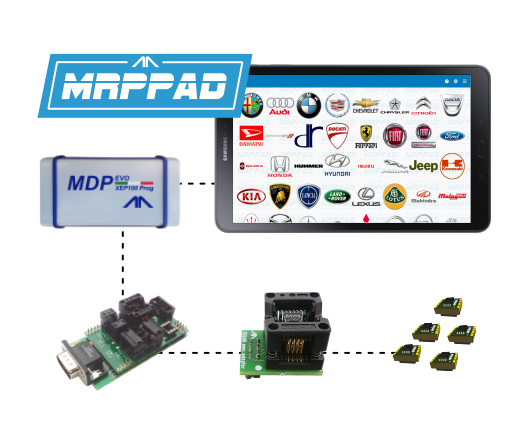 MAGNETI MARELLI v.20 database released with 524 different control unit models! Contact us to update! All models with 1600/1700/2000/2200 CRDi motor from MY2009 till MY2014. All models with 1400/1700/2000/2200 CRDi motor from MY2015 till latest. ECU recover * - FRM ECUs (BMW / Mini lights module) often suffer from the eeprom memory encoding loss due to errors in the Eeprom emulation procedure in Flash. These problems cause malfunctions of the unit (eg No ignition or non-switching off of the lights of the vehicle, glass window control breakdowns etc.) This function allows the automatic repair of the Eeprom file in these ECUs with consequent functionalities recover. 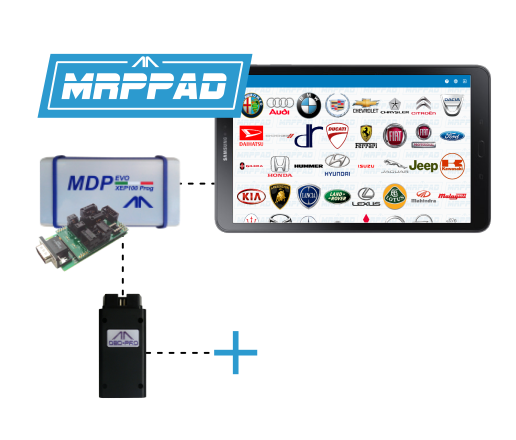 MRPPad had been renewed and improved: ranging from style, features and support. We've been working to improve our user experience and we worked on some fine tunes to make MRPPad even better. BSIs after 6/2015 and updated BSIs may not be supported. Available the new "UNIVERSAL MEMORIES ADAPTER" hardware module. It's a module to be used with XEP100Prog + MRPPad to manage memories.